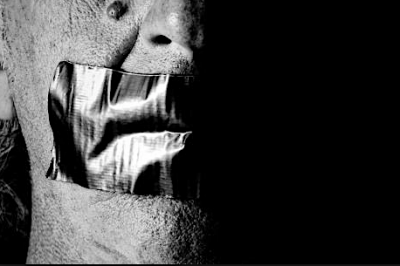 In Canada, liberal defenders of free speech say all voices must be heard. They say hatred is not easily distinguishable from strong disapproval. Therefore, prohibiting anti-immigrant protests might silence important voices. It is about rights to freedom of expression. But some peoples’ rights don’t figure. They will never figure because people don’t figure. This was known hundreds of years ago to anti-liberals who were anti-liberals because they were anti-imperialist. There is not much freedom to express those ideas. They’re not discussed in universities, or liberal media outlets like CBC, BBC, and Aljazeera. The word “imperialism” is not heard there. Italian journalist, Gianni Minà, writing about Latin America, asks what sort of “verdadera incomprehención cultural” protects us from the horrified gaze of 80% of the world’s population. 1 Why doesn’t it matter, he asks, that the system providing a good life for 20%, the one making us “developed”, does so by creating hell for the majority? Minà calls it cultural ignorance, explained by how we live, what we take for granted. In Toni Morrison’s Beloved, Sethe goes to jail with her back straight and head high. Sethe killed her baby daughter and wanted to kill her two boys. Her friend, Paul D, says “more frightening than what Sethe did was what Sethe claimed”. She claimed love. Sethe escaped slavery to another state. After 28 days with her children, no longer enslaved, her former slave master comes after her. She sees him coming, knowing his hat. Sethe takes her children to the shed, and grabs a handsaw. She kills her daughter to “protect” her. Her community doesn’t understand. Sethe’s friend, Paul D, reminds Sethe that “used-to-be-slaves” should pick “the tiniest stars out of the sky to own”. It is not reasonable, Paul D explains, to “love thick”. He is figuring out how, in the context, used-to-be-slaves can live well (enough). Reading the novel, you understand Sethe’s choice: Dehumanization is worse than death. Paul D is rational. He knows slave reality and accommodates himself. But Toni Morrison shows us Sethe as rational. We see that it becomes reasonable to pick “the tiniest stars out of the sky to own” when reason accommodates itself to dehumanization. Dehumanizing cultures make humanness inconceivable. Yet “developed” cultures, claiming freedom, don’t ask how to know humanness. Those anti-liberals who were anti-liberal because they were anti-imperialists did ask this question. José Martí, the first outright anti-imperialist, before Lenin, put it in his Montecristi Manifesto, political declaration of the Cuban Revolutionary Party in 1895. Martí associated freedom with truth. 2 He thought of freedom the way Marx did: the realization of essential human capacities. North American political theorists talk about development this way. It’s even trendy. But they don’t ask how to know such capacities. They must think they already do. When Paul D says “More frightening than what Sethe did was what Sethe claimed”, he recognizes truth. He doesn’t understand it. Truth is like this sometimes: You know it matters before you understand. You pursue it anyway. It is hard. Or, you pick the tiniest stars in the sky to own, accepting without question the cultural ignorance that makes most of the world’s people of no real consequence as long as we “live well” – as long as we’re happy. Hugo thought truth more interesting than happiness, especially when they conflict, which happens often in dehumanizing systems. Hugo shared ideas with Martí. They both emphasized beauty. Neither pursued art for tranquility and diversion. Martí describes beauty as a sword, using the metaphor 370 times. 3 It is the beauty of Toni Morrison’s Beloved. It breaks you and tears you down but then you see better. Jean Paul Sartre understood. Introducing Frantz Fanon’s Wretched of the Earth, he told Europeans they wouldn’t understand Fanon’s account of colonialism, just by reading. He urged them to “enter in”, like we enter Beloved, and be wrenched. “Turn and turnabout”, Sartre writes, “from these shadows from which a new dawn will break, it is you who are the zombies”. Imperialist cultures express hatred. It’s been known for a long time, by Martí, first, and then by others – Rubén Villena, Juan Antonio Mella, Juan Marinello, Blas Roca – who kept his message alive during dark decades after what Lenin called the first imperialist war when the US intervened in Cuba’s struggle against Spain. A US colony was established, called “free”. It is the old story. There’s not much freedom for that story about “freedom”. Martí had the surprising insight that development does not mean being like Europeans and North Americans. The idea is still alive, thanks in particular to the Cuban Revolution and the struggle in Venezuela. That idea too should have a right to freedom. There’s only one story out there now and that’s liberalism. Liberals insist on rights to expression but not all views are expressed, or can be. We need rights to beauty, the sword sort – against imperialism, for truth. “If we were forced to choose between the barbarians of civilization and the civilized representatives of barbarity, we would go for the barbarians”. The “civilized barbarity” he refers to cares about happiness, more than truth. Maybe we need Martí’s sword of beauty, and maybe we need it first, so that what we are “free” to express can be more than civilized barbarity.